Sunshine and clouds mixed. High 73F. Winds WNW at 10 to 15 mph..
A clear sky. Low 51F. Winds SE at 5 to 10 mph. 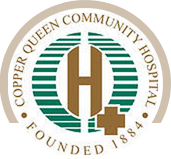 CQCH is a rural acute care critical access hospital that has been providing convenient, affordable healthcare for over 125 years.